A lot of hotel reservations, vacation rentals and short term accommodations are now raging online. I wasn’t familiar of these online services before until my cousin introduced it to me. From then on, I use these services whenever I look for hotels and cheap accommodation. And ask if these are secured and legit? Yes they are, I haven’t found any problem at all. 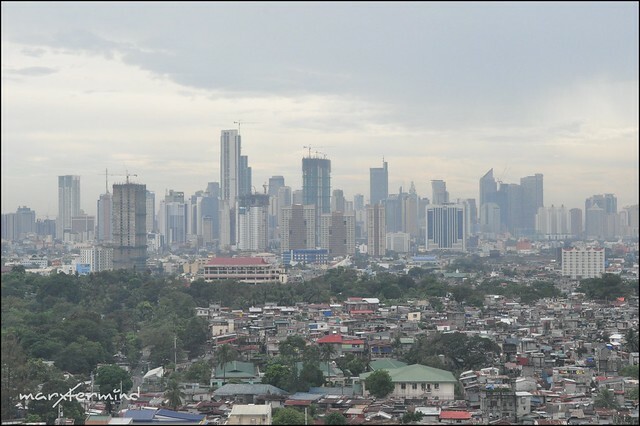 Recently, I used Airbnb to look for cheap accommodations for my Australian relatives during their visit here in the Philippines. It’s hard to look for a place to stay but with the help of Airbnb I was able to find a good place that suits the needs of my relatives – price, accessibility, security, comfort and cleanliness. I found Airbnb easy to use when looking for a place to stay. You only need to input the place you wanted to stay, inclusive dates and number of guests, then it’ll list the recommended accommodations for you. 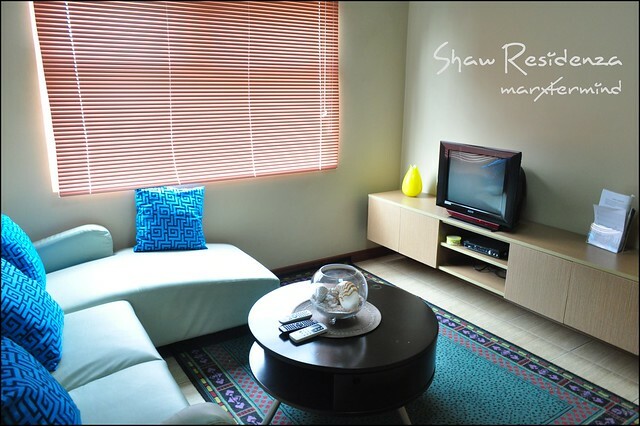 When I searched, a list of accommodations were listed and among those enlisted, I chose Shaw Residenza. I messaged the owner and I got a quick response afterwards. So why did I choose Shaw Residenza? 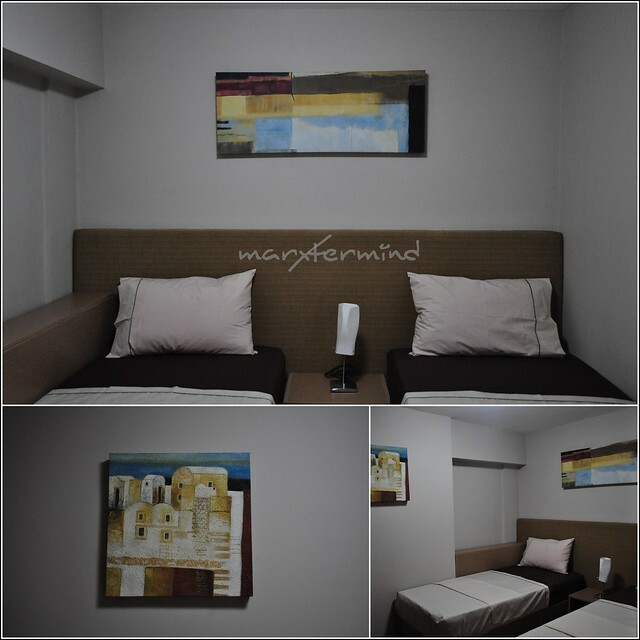 Most hotels in Metro Manila, the standard room rate starts at PHP 2,000 (can fit 2 persons). 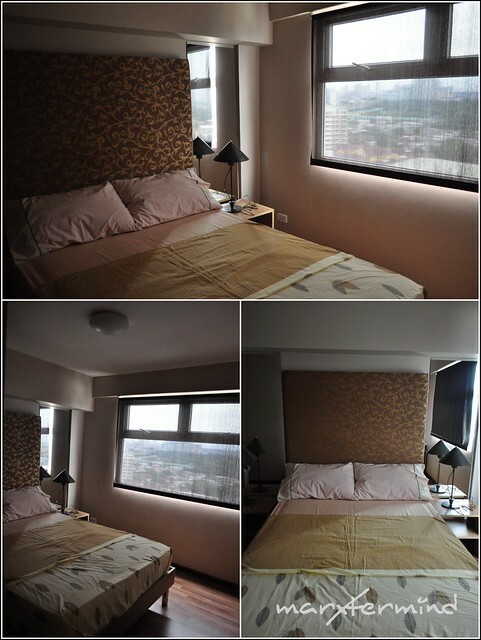 But staying in condotel like Shaw Residenza, the unit rate starts at PHP 3,000 with 2 bed rooms (can fit 4 to 5 persons). The condotel is located at the prime location. It is accessible to malls and attractions. I found the place safe and quiet inside despite of the busy street of Shaw Boulevard. CCTV and security guard is available 24 x 7. 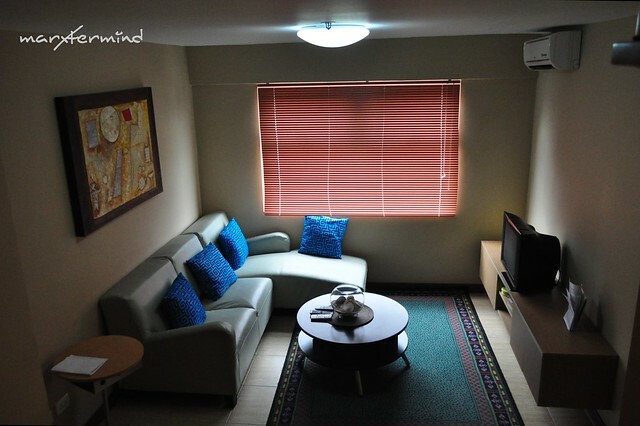 Aside from the 2 bedrooms, the unit has its own living room and dining area. Kitchen facility is also available but they don’t have kitchen stove at the moment. Of course, the unit is tidy. Regular cleaning and change of blanket and bed linen is available upon request. Oh, how I love the bathroom’ shower. It ain’t the regular shower I used to. Negotiation with the owner wasn’t hard at all. I found the Shaw Residenza staff very friendly and accommodating. They were attentive on our requests. And that’s why I created this post to help them. I believe my relatives were satisfied with their stay here in Shaw Residenza. I haven’t received any major negative feedback from them except for some minimal complaint, though. I recommend Shaw Residenza to anyone who are going to stay in Metro Manila. This is a great place to stay for families and groups who wants a hotel-like place (without the buffet) on a cheaper rate. 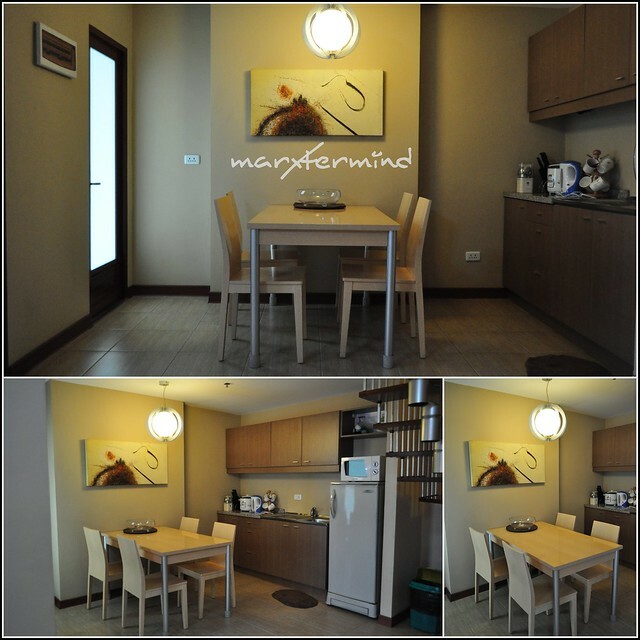 If you want to book a unit at Shaw Residenza on a short-term stay, you may contact Ms. Nena Corleto at 09088986151. Previous story Where in Hong Kong? It's really great response and awesome experience for fun! No complaints. 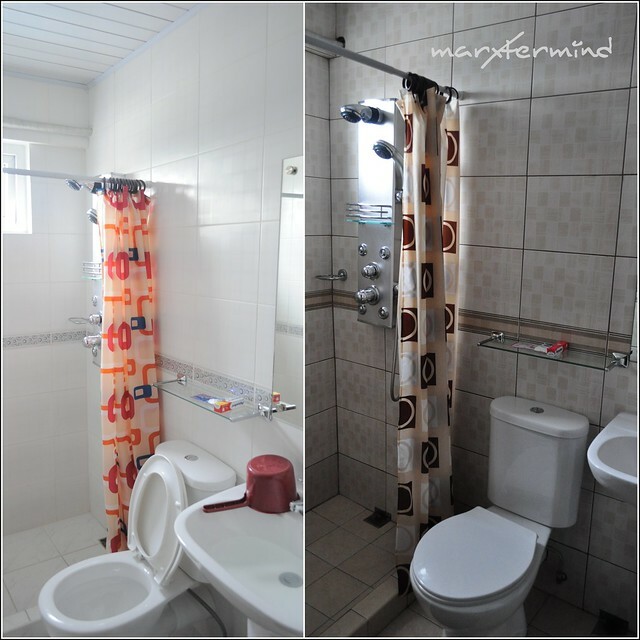 Facilities are just like pictured…modern 2 level condo. Staff is friendly and can assist with recommendations on where to go. Hope I could book an overnight with you some other time. Hi, thank you very much for your kind words and support. We're glad your relatives enjoyed their stay. the city or simple bonding/get together for family and friends. Thanks again and wishing you many more happy travels! Thank you very much for your kind words and support. We're glad your relatives had enjoyed their stay. Rest assured we now do provide stoves in the units and we hope you can try us again soon. We also accept overnight bookings or weekend stays for those wanting a staycation in the city. More happy to you and wishing you more happy travels! Yes. ofcourse! Airbnb is a website that provides finest quality of vacation rentals at cheap price rates. There are also some other subletting accommodation software like Wimdu and Roomorama. People can try that also! Thanks!